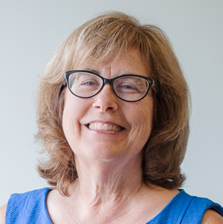 Dr. Bonnie Bechard holds the rank of Professor in the College of Business Administration at PSU, where she has been a member of the faculty since 1982. She currently teaches at the graduate and undergraduate levels in the following areas: Global Business, Organizational Behavior, and Training and Development. She is the recipient of the 2010 PSU Distinguished Graduate Teaching Award and the 2012 Alumni Association Faculty Award of Excellence. Dr. Bechard has over 30 years of full-time teaching experience in higher education in the fields of management, business education, and teacher training supervision. She has also served in various administrative roles including Director of Faculty, Program Director, Internship Coordinator, and Executive Director for the Plymouth State Business programs. Dr. Bechard has conducted numerous training workshops and professional conference presentations on innovative teaching practices, faculty development, and business supervision. Her current areas of scholarship include online pedagogy, program assessment, experiential learning, and integration of global business into the curriculum. She has experience both teaching and developing distance education for domestic and international degree programs. Her recent publications have included the writing of an online study guide in the field of organizational behavior for Prentice Hall. Dr. Bechard’s professional development activities have included integrating globalization into the business curriculum at PSU. She has traveled to China, led a travel study course to Babes-Boylai University in Romania, completed the Faculty Development Program in International Management at the University of South Carolina, and developed the undergraduate course in global business and international management. Her papers on Cross-Cultural Learning Preferences were presented at the American Society of Business and Behavioral Sciences (ASBBS) National Conference in Las Vegas and the ASBBS International Conference in Aberdeen, Scotland. Dr. Bechard has also had the opportunity to travel to Athens, Greece, where she studied the human resource management practices of multinational managers and enjoyed the history and culture of Greece while touring the country with her husband and daughter.